Recently, I cam across a small volume entitled Spirituality of the Psalms by Walter Brueggemann in which the author speaks of how the psalms mirror the seasons of life. I feel that the approach of the author may help us reflect on the changes and challenges which we experience in priesthood. The psalms of orientation represent the first season, a time when individuals and the community find themselves in a confident, serene, settled place, where life is not troubled or threatened and where there is no inkling of anxiety. As baptised faithful, religious and priests, we have experienced moments like this in the past. Following this period of relative equilibrium, a second season turns to psalms of disorientation, marked by incoherence and loss of balance where the darkness, weakness and displacement of life become the standard. And as priests we have been and possibly are here at this point. The songs of personal and communal complaint beg for God’s intervention. Finally, in the third season, psalms of new orientation give evidence of the presence of unexpected new life where there is no return to the past, for once one has spoken to God with candour about the disorientation, the grace and power and goodness of God prevail. These seasons correspond both to the life/death and resurrection of Jesus Christ which we celebrate this Holy Week and to the phases of life endured by priests and the people of God in recent years. Understandably, however, the third season is yet to come to full fruition. For people and priests life has changed dramatically from relative calm to a period of genuine disorientation. As priests today we move through a disorienting phase, endeavouring to find glimmers of hope as we continue our ministry and move towards a new orientation where the grace of God is again amply evident. Both historical and contemporary conditions are having an impact on priesthood at this time and profoundly affecting the personal lives of priests and their ministry. A major concern in this situation is the over-extension of fewer active priests as we endeavour to preach the Gospel in a rapidly changing and complex culture. As the number of priests declines and the workload increases the responses are understandable. At the same time as priests, even as the workload increases, we experience the desire to deepen our understanding of our priestly identity and make provision for prayer and spirituality without which we cannot hope to function as priests. We are endeavouring to maintain a vigorous prayer-life and build into our schedules a time for priestly fraternity, renewal courses and recreational activities. Many priests have formed support groups with an emphasis on spiritual and social purposes. In the context of what we have been through I feel that it may be informative for the people to whom we minister and also for ourselves as priests to refer to a number of factors which have emerged. Priests generally are satisfied with their ministry though many experience considerable stress from the excessive demands it makes on them. Several extensive surveys and many smaller studies of priests reveal that our level of satisfaction with ministry surpasses almost every other profession. Two significant studies (The Los Angeles Time Poll of 2002 and Evolving Vision of the Priesthood: Changes from Vatican II to the Turn of the New Century) in recent years reveal that virtually all priests love their ministry and experience immense joy in administering the sacraments, celebrating the sacred mysteries; they find great satisfaction in preaching the word of God and journeying with their people in the joys and sorrows of life. Notwithstanding the high level of satisfaction, the demands placed on many priests create considerable stress for many. The sources of stress are numerous and wide-ranging and vary with age, background, theological views and the number of people in the parish. It goes without saying that in the aftermath of sexual allegations we, as priests, have suffered disorientation and disappointment. Personal conversion is required of all of us as we celebrate the gift we have received in priesthood. This conversion of heart will come about by pondering, praying and preparing to act in Christ’s name. If we are in touch with the mystery of God in our lives, we can contribute to a more positive future for all. God loves, challenges, inspires and empowers but if we are out of touch with the mystery – if our faith is separated from our life, then our priesthood will be shallow and our actions empty. By deepening our faith and paying attention to the pattern of God’s movement, true conversion can and will take place. To be able to respond with kindness and compassion while maintaining integrity takes wisdom and courage and time for reflection and prayer. We search for the healing and peace that comes from knowing how deeply God acts in our lives. Without that peace we find it difficult to be present to anything but our own anxious concerns. At issue is whether as baptised faithful, religious and priests we can find the heart to face the future without fear and with great trust, to surrender our spirits into God’s hands and to pledge ourselves as bread and wine poured out for others. For a number of years as priests we have been thrust into a situation, for the most part, not of our making, which has resulted in disorientation and alienation. Perhaps this Holy Week is a time for movement to another place. The psalms speak of a healthy, re-oriented life that is anticipated after experiencing loss and darkness. These psalms of praise for newness of life are not explicit about how the repositioning takes place, but it is evident that such transformation demands time for prayer, reflection, on-going education and interaction with the baptised faithful who both support, challenge and confront. Then the grace and power and goodness of God not only will prevail, but also will be deeply felt in the spirit and lives of the recipients. As priests we are seeking and discovering signs of such a future, a condition that is vital to the faith and wellbeing of every Catholic.  Here in the faith community which is the Archdiocese of Tuam the challenges facing ordained priesthood have encouraged all of us, lay, religious and ordained to reconsider our role and responsibilities. In recent times I believe a real sense of shared responsibility and of partnership is beginning to emerge. Our Diocesan Assembly held 15 months ago was more than just a gathering of people; it was an extraordinary meeting of minds and hearts which gave expression to our common priesthood. The Diocesan Assembly took as its theme the Prophet Jeremiah’s phrase ‘A Future Full of Hope’ and we are now witnessing that hope being realised in small but very significant ways. The formation of a Diocesan Youth Council, made up of vibrant, enthusiastic and articulate young people is a sign not just of hope for the future but of confidence in the future – young people ministering to young people! Earlier this month almost 600 members of Pastoral Councils gathered with their priests at 14 venues throughout the diocese for the first phase of a formation programme for pastoral councils – a powerful and inspiring indication of a new sense of shared responsibility and partnership between ordained and lay. Without Jesus Christ and what happened during this Holy Week, we the Church have no mission, no authority or authenticity, no relevance. As Jesus breathes his spirit on bewildered and frightened disciples, hope and courage grow. At the launch of the Assembly, I said the task ahead will be challenging, calling for prayer, patience and persistence. We need to restructure the ministry of the Church to address the demands of a new mission. Such a Church must become a Church of vibrant, closely-knit but outward-looking, gospel-based, sacramental communities which evangelise through the quality of their spirituality and their life style while at the same time are committed to serving the world, especially the poor, the stranger and the vulnerable in justice, love and peace and in harmony with the environment. On behalf of the people to whom you minister and on my own behalf I want to express my deep appreciation of the generous service and support which you provide for your people. Time and again they make you aware of what you mean to them. I join with my brother priests on this morning in expressing our thanks to all who share the priesthood of the baptised, to people and religious in our parishes who pray with and for us, who become involved in planning and in the work of the new evangelisation. On the Holy Thursday I also want to thank you for the support which I receive from you in my role as Archbishop. That powerful support, generous goodwill and encouragement is something for which I am eternally grateful. The Holy Spirit is alive and active and speaking to the Church in all its joys and travails. We celebrate this Easter with joy at God’s ever-renewing fidelity to us and this beautiful world which he has so loved in Christ Jesus.